ASPI today released my report Moving beyond ambitions? Indonesia’s military modernisation which examines Jakarta’s plans to build a modern defence force over the next decade. It’s an important topic, because the military balance between the ADF and its Indonesian counterpart, the Tentara Nasional Indonesia (TNI), has always factored large in Australia’s defence planning. TNI’s current modernisation efforts take place in the context of a broader debate about Indonesia’s possible emergence as a major regional or even global power. Australia’s 2013 Defence White Paper, for example, expects nothing less. If that happens, Indonesia will not only become more powerful relative to Australia, but a more capable TNI would also be a major geostrategic asset for us. Hugh White, for example, has argued that it’s quite likely that our larger neighbour to the north will become a major regional maritime power, able to protect not only its own maritime approaches but also Australia’s. I share his assessment that it’s important for Australia to prepare for the possibility that Indonesia will become more powerful than us. But I’d be much more cautious as to its inevitability. 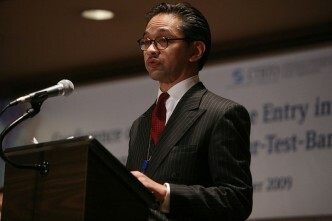 For example, there are serious questions as to whether Indonesia’s economy can continue to grow at its recent rate. And I’m less optimistic than Hugh about Jakarta’s ability to achieve its military ambitions to be able to control and defend Indonesia’s vast exclusive economic zones (EEZ) through investment in littoral warfare capabilities. Among other things, the TNI wants a 274-ship ‘green-water navy’ (including 12 new submarines), 10 fighter squadrons, and a more rapidly deployable army. The aim is to build a maritime/air denial capability, which makes sense given Indonesia’s geostrategic position. But ambition is one thing and implementation quite another. Indonesia’s defence procurement and capability development process remains mostly ad hoc, incoherent and riddled by high levels of corruption. Its institutional capacity to formulate and execute a coherent defence policy remains underdeveloped. And while the defence budget has grown substantially in recent years, it’s still relatively modest. That’s also because, rhetoric notwithstanding, defence policy continues to rank low on Jakarta’s political agenda. Consequently, the Indonesian Navy has only fragments of a ‘green-water’ capability, and it’s far from being a ‘balanced fleet’, lacking investment in key areas such as long-range maritime surveillance, anti-submarine warfare and mining/mine countermeasures. Part of the problem is that Indonesia doesn’t have a maritime consciousness and remains very much a continental military power. 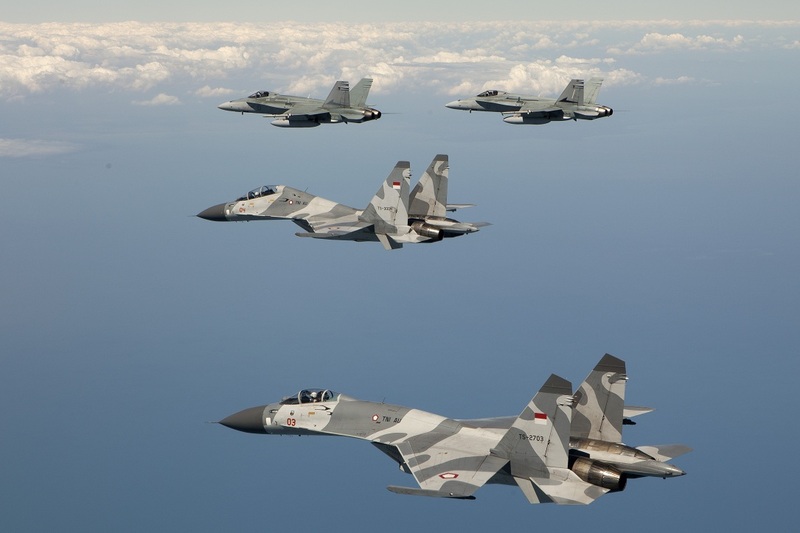 The Air Force has invested in some more capable Russian Sukhoi fighters, some of which participated in the ADF’s 2012 Pitch Black exercise for the first time. But its new fighters are largely incompatible with other assets and it lacks key enablers for modern air combat operations, such as airborne early warning and control (AEW&C) systems. Finally, the Indonesian Army remains the most influential service. It has taken some steps towards a more agile and deployable force, but most of its units remain non-deployable because of ineffective training schemes, lack of financial resources and a territorial command structure more suited to provincial politics than operational effectiveness. Major TNI acquisitions such as 100 German Leopard main battle tanks and eight US Apache attack helicopters reflect more prestige thinking than the development of real military capability. What does that all mean for Australia? For the foreseeable future TNI will remain very much an imbalanced force. Alarmist predictions about an imminent erosion of the ADF’s high-end ‘capability edge’ are unfounded and unhelpful. That said, TNI will improve in relative terms. 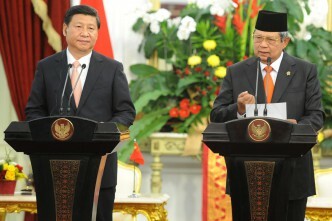 It will strengthen its ‘denial’ and force projection capabilities within Indonesia’s EEZ. Access to modern technologies such as anti-ship missiles, better maritime domain awareness, an increase in coastal combatants, and improved capacity to deploy troops within the archipelago means that the TNI will be better placed to engage any force operating in its maritime approaches. That’s predominantly positive for Australia since Indonesia’s current investments in coastal defence and littoral warfare will make it very difficult for any hostile force to establish a stronghold in the archipelago in order to project force against the Australian continent. Yet, as Tim Huxley has written, strengthening the bilateral defence relationship won’t necessarily be easy. 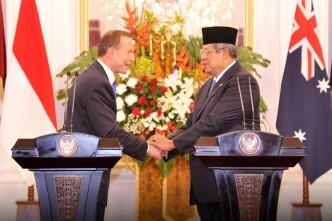 The days where TNI was an eager recipient of Australian defence aid are numbered. And there could be a growing imbalance in the relationship: while Indonesia will always be our most important regional strategic relationship, the reverse isn’t necessarily true. Future defence cooperation needs to go beyond important but ‘low-hanging fruit’ such as staff exchanges, military exercises or humanitarian assistance and disaster relief. New creative cooperation could include using the Defence Materiel Organisation (DMO) to improve TNI’s defence procurement and sustainment process. DMO could also initiate cooperation between Australian defence industry and TNI to expose Indonesia to ‘best practice’ in defence contracting and sustainment. As well, Defence could offer to assist TNI in doctrine and capability planning. Strengthening single service cooperation between the ADF and TNI is also critical to building trust and to hedge against future crisis. For example, the ADF’s emerging amphibious capability could provide new opportunities in this regard. Finally, joint maritime surveillance is an underdeveloped area of cooperation and more could be done in this area. Indonesia’s military will continue to face a considerable gap between its ambitions and reality. But Australia needs to anticipate and shape the emergence of a more capable TNI that’s willing and ready to influence security in our key area of strategic interests.